Team Ecuador 2015 are off for the summer. 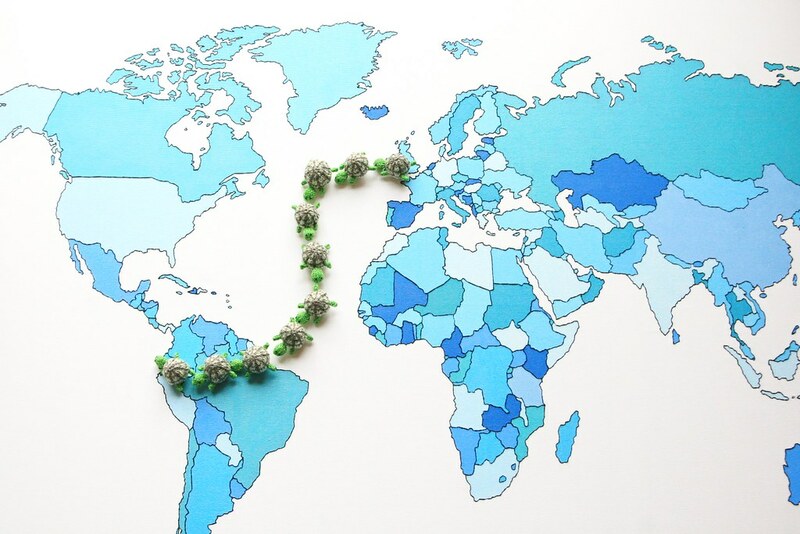 You can read about our trip preparations here; this is a volunteering project we're doing with Girlguiding and as a team leader I've been planning and preparing for this trip for abour 18 months now. And it's finally here. And we were all ready except for one thing. No team mascot. It was decided early on that it should be a Giant Galapagos Tortoise, as even though we aren't visiting the islands themselves, the tortoise has huge historical significance, and they're really lovely creatures! But where should we get one? Who should be responsible for looking after it? Who would get to name it. The debate went on. And so unbeknownst to the team, I decided that we would each have our own mini mascot. 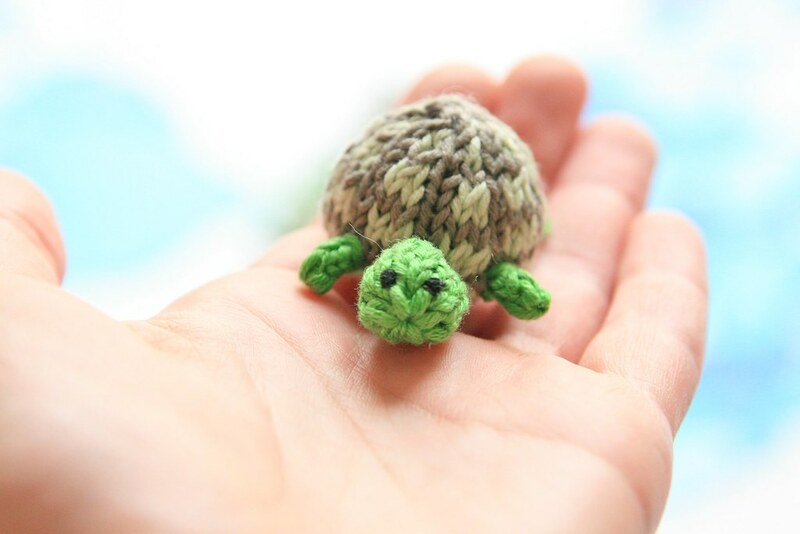 I found a knitting pattern for a little tortoise from Mochimochi Land (it's part of the pets collection here) and I picked up some sturdy cotton yarn. 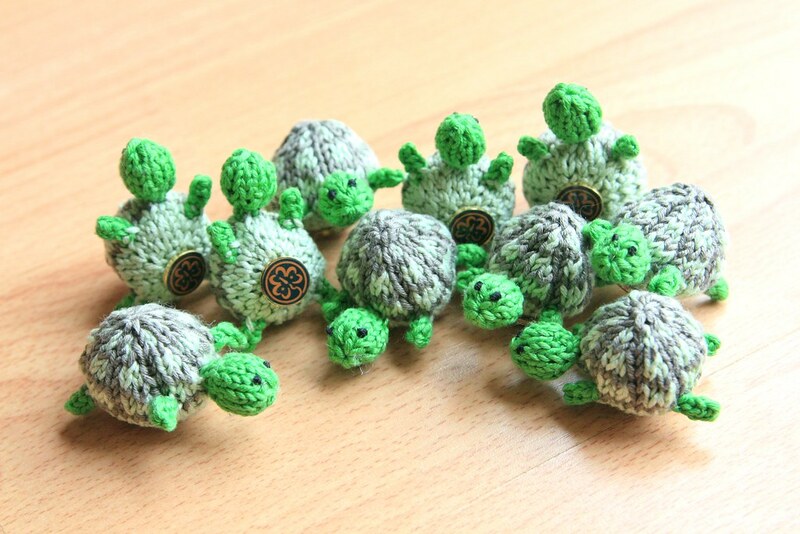 For two weeks, whenever I commuted or got on a tube or had to wait for a bus, out came my needles, the green cotton and the pattern and the little creatures gradually grew. Meet the team of mascots! 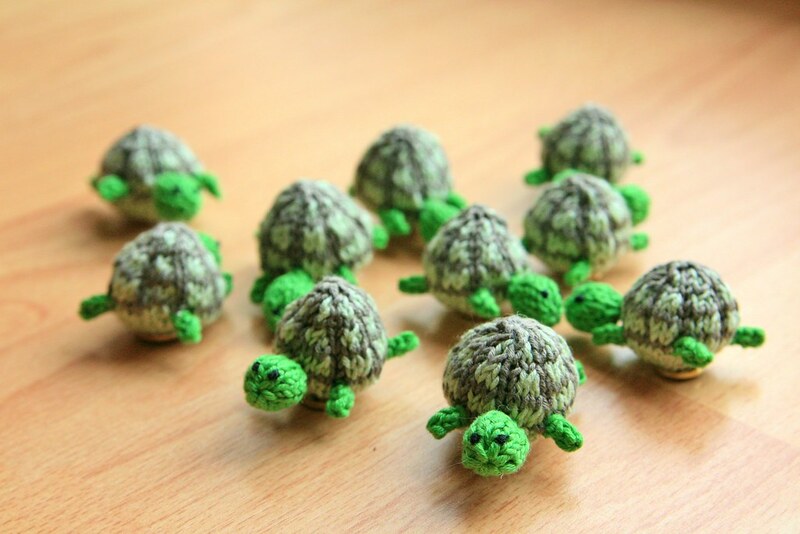 One little giant Galapagos tortoise for each team member. Everyone can name their own, and they won't take up valuble luggage space. But they look a bit tumbled about here don't they? Come on lads, line up! That's better. And to make sure that they were definitely Girlguiding members, I gave each of them a World Guiding Trefoil to wear proudly on their tummies. Which they cheerfully modelled. They are very well behaved little pets. 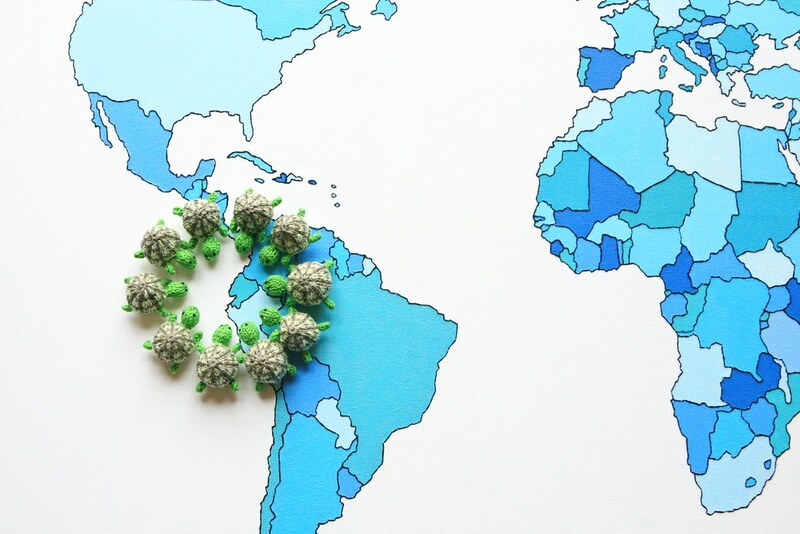 So now we are ready, and our little friends are ready. 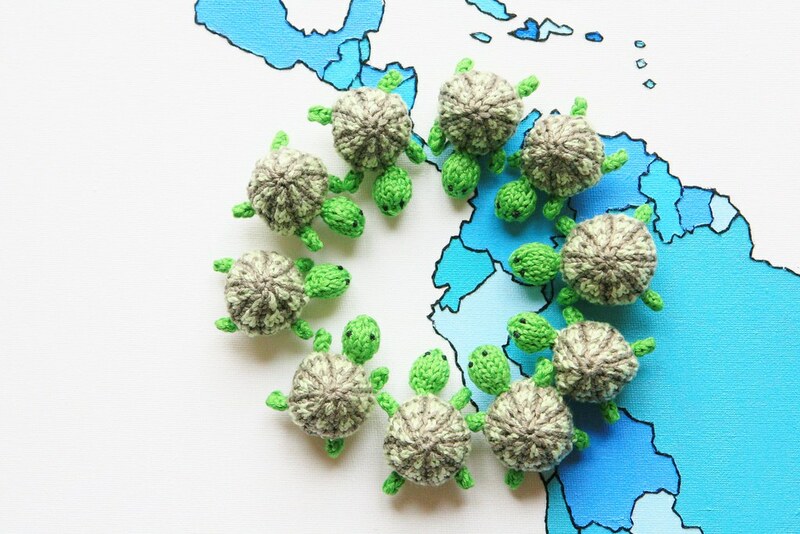 I'm sure they will appear in many a photo, and as long as we're careful not to lose them (because they are very little for giant tortoises) I think they will come back with lots of stories to tell. 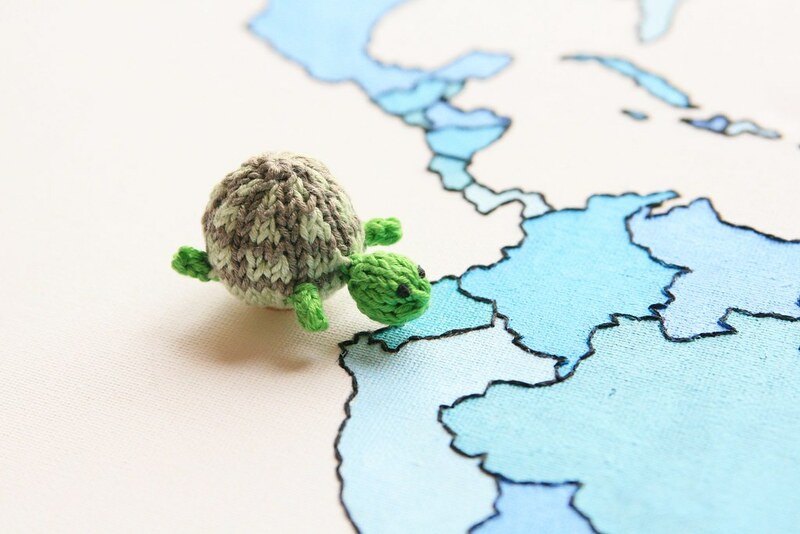 Their navigation skills are up-to-par as well - they must be homing tortoises. And this is my little friend. I've called her Tiny. 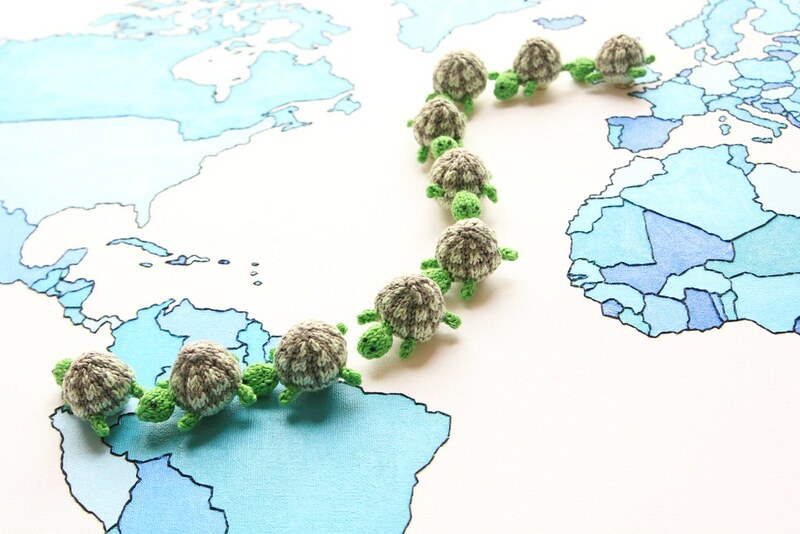 I think the team of Tortoises is pretty excited about their upcoming adventure. But not as excited as the team themselves - hello adventure! Love them, good luck on your trip! Oh my, I love, love, love this post! 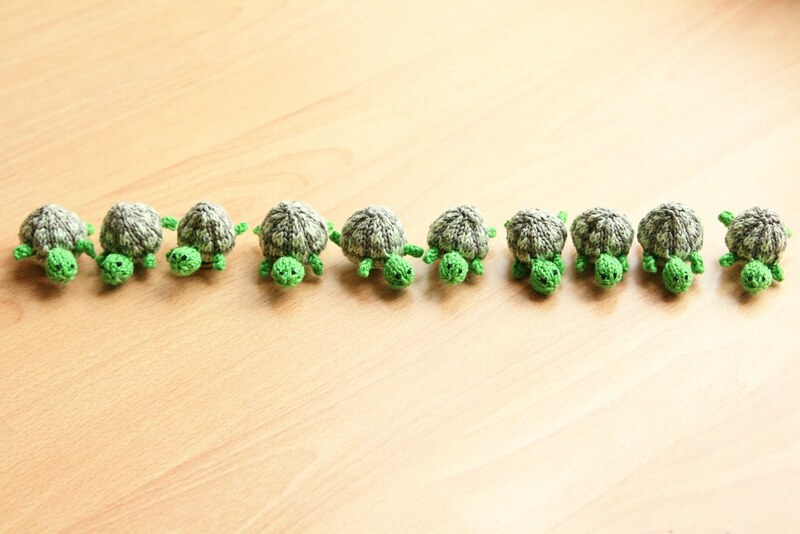 Those cute tortoises are perfect for you and your team1 I know you're going to have an amazing time. I love your little mascots, happy traveling with them. Oh my, they are so cute!